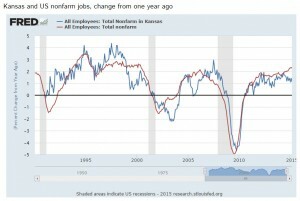 Here is a collection of charts comparing aspects of Kansas and its economy to the United States. 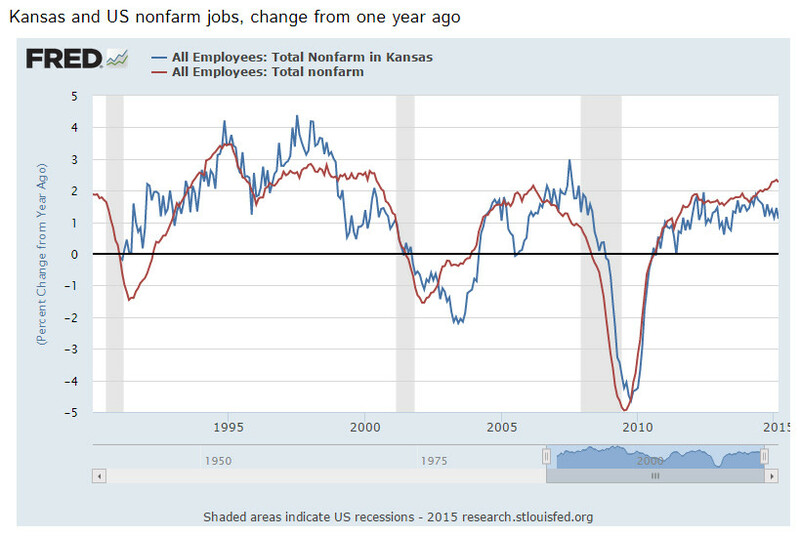 These charts are from the Federal Reserve Bank of St. Louis, which gathers the data from a variety of sources. The graphs are interactive in a variety of ways and should always be current with the most recent data. Click here to view the charts.